As Catholic cemeteries, we recognize the need to support our families in their time of mourning. Our memorialization program can be an avenue to express the love, grief and faith of our families. 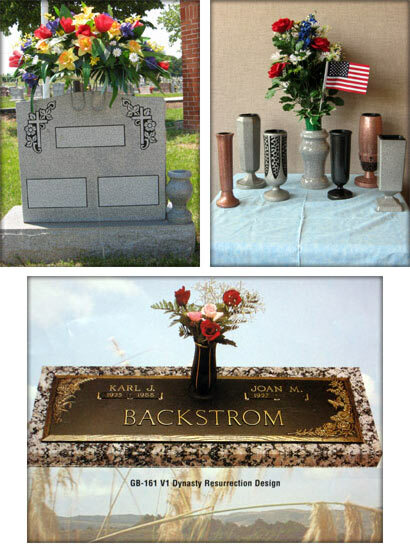 Personalized products of remembrance such as monuments, markers, bronze memorials, cremation urns, flower vases and photo ceramics can say so much in loving memory and lasting tribute about a beloved who has died. Our Family Service Associates are trained to assist our families in the wide variety of choices in memorialization products. We sell a variety of memorials including all those noted above as well as benches and statues. We offer competitive pricing and easy monthly interest free payment plans. If your loved one was a U.S. Veteran, the Veteran Administration provides a flat marker free of charge. We will mail you a form to fill out that must be returned to this office with a copy of DD-214 or discharge paper. The only fee you will pay is a small installation charge to the Cemetery, payable when the marker is delivered. For assistance or information regarding memorialization, call a Family Service Associate at 215-533-2574.